What is the Serial Number on my phone? Serial Number is a sequence number given by the phone maker to uniquely identify a physical phone set of a given phone model. 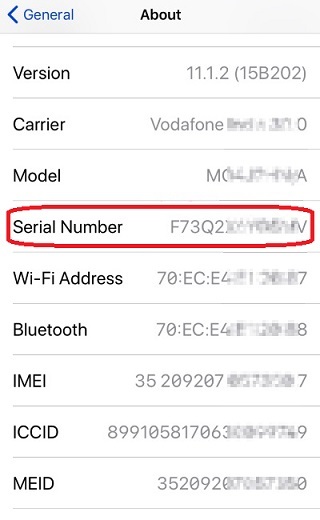 Example, "F73Q2XYS8GWV" is a serial number of an iPhone of model "MOAU2LL/A". On a iPhone, you can find the serial number by going to the "Settings > General > About" screen.